A young Turkish man journeys back in time and across continents in search of a stranger who will forever alter the way he sees himself, his family and his country. When Orhan’s brilliant and eccentric grandfather—a man who built a dynasty out of making kilim rugs—is found dead, submerged in a vat of dye, Orhan inherits the decades-old business. But his grandfather’s will raises more questions than answers. Kemal has left the family estate to a stranger, thousands of miles away, an aging woman in an Armenian retirement home in Los Angeles. Her existence and secrecy about her past only deepen the mystery of why Orhan’s grandfather would have willed their home in Turkey to an unknown woman rather than to his own son or grandson. Left with only Kemal’s ancient sketchbook and intent on righting this injustice, Orhan boards a plane to Los Angeles. There, over many meetings, he will not only unearth the story that 87-year-old Seda so closely guards, but discover that Seda’s past now threatens to unravel his future. It’s a story that, if told, has the power to undo the legacy upon which his family is built. 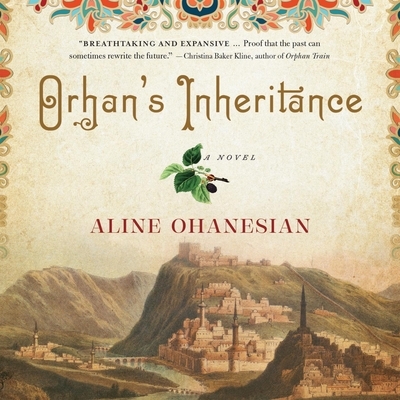 Moving back and forth in time, between the last years of the Ottoman Empire and the 1990s, Orhan’s Inheritance is a story of passionate love, unspeakable horrors, incredible resilience, and the hidden stories that haunt a family.